Are you ready to create profitable wallpaper websites ? Now you can easily create wallpaper websites with this cool wordpress theme ! A cool wordpress theme that will help you to create profitable wallpaper sites quickly and easily. It will turn your wordpress site into elegant and professional gallery sites! Cool Design + SEO Friendly ! 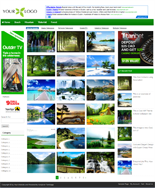 Do you want to create cool and profitable wallpaper sites ? Now, you can create it easily using our new wordpress theme. I am here to bring you a new wordpress theme that will help you create cool and profitable wallpaper sites. A new wordpress theme that's specially designed to create gallery sites. Your websites will look like professional gallery sites. You don't have to hire expensive wordpress theme that will cost another $$$ for outsourcing because I've already done it for you.